Emma qualified as a solicitor in 1984. 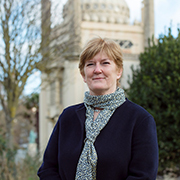 She joined the firm’s Patcham office in 1996 and moved to the firm’s Henfield office as branch manager in 2001. Emma has experience across a wide range of legal work but has been part of the firm’s Tax, Trust and Estates team for 16 years and specialises in wills, estate administration, inheritance tax planning and powers of attorney.